This Recommendation defines user requirements for Quality ofExperience for IPTV services. The QoE requirements are defined from an end userperspective and are agnostic to network deployment architectures and transportprotocols. The QoE requirements are specified as end-to-end and information isprovided on how they influence network transport and application layerbehaviour. QoE requirements for video, audio, text, graphics, control functionsand meta-data are provided. Compression coding schemes addressed in this Recommendation are examples,and detailed numeric values as performance targets, e.g. bit rate, packet lossrate, are also examples. The readers may appropriately choose or replace these parameters values in order to be consistent with therequirements of each IPTV service context to which they are intended to be applied. This Recommendation defines userrequirements for Quality of Experience (QoE) for IPTV services. The QoErequirements are defined from an end-user perspective and are agnostic tonetwork deployment architectures and transport protocols. The QoE requirementsare specified for the end-to-end service and information is provided on howthey influence network transport and application layer behaviour. Compression coding schemesaddressed in this Recommendation are examples, and detailed numeric values givenas performance targets, e.g. bit rate, packet loss rate, are also examples. Thereaders mayappropriately choose or replace these parameters values in order to be consistent with therequirements of each IPTV service context to which they are intended to be applied. The following ITU-T Recommendations and other references containprovisions which, through reference in this text, constitute provisions of thisRecommendation. At the time of publication, the editions indicated were valid.All Recommendations and other references are subject to revision; users of thisRecommendation are therefore encouraged to investigate the possibility ofapplying the most recent edition of the Recommendations and other referenceslisted below. A list of the currently valid ITU-T Recommendations is publishedregularly. The reference to a document within this Recommendation does not giveit, as a stand-alone document, the status of a Recommendation. 3.1.1 Quality of experience (QoE) [ITU-TP.10/G.100]: The overall acceptability of an application or service, as perceivedsubjectively by the end-user. NOTE 1 – Quality ofExperience includes the complete end-to-end system effects (client, terminal,network, services infrastructure, etc.). NOTE 2 – Overallacceptability may be influenced by user expectations and context. 3.2.2 Group of Pictures: The Group ofPictures (GOP) is a group of successive pictures within a MPEG-coded filmand/or video stream. Each MPEG-coded film and/or video stream consists ofsuccessive GOPs. From the MPEG pictures contained in it, the visible frames aregenerated. 3.2.3 VoD Trick Modes: Download and streamingvideo on demand (VoD) systems provide the user with a large subset ofVCRfunctionality including pause, fast forward, fast rewind, slow forward, slow rewind, jump toprevious/future frame etc. These functions are usually referred to as"trick modes". 3.2.5 Clean Audio: Audiotrack of an IPTV Service with background sounds removed. SECAM SEquentielCouleur A Mémoire, French for "Sequential Color with Memory"
QoE is defined in [ITU-T P.10/G.100] in Appendix I as the overallacceptability of an application or service, as perceived subjectively by theend-user. It includes the complete end-to-end system effects (client, terminal,network, services infrastructure, etc) and may be influenced by userexpectations and context. Hence in principle, QoE is measured subjectively by the end-user and may differ from oneuser to the other. However, it is often estimated using objective measurements. Differencesin perceptual acuity and preference mean that QoE judgments obtained fromdifferent people may vary. Therefore,measurements of QoE are generally made using group data. Where the necessary studies have been done tocalibrate the relationship with QoE, it may also be estimated using objectivemeasurements. A numberof system performance characteristics contribute to QoE of the mediastream. For example, the codec and theencoding bit rate used, media resolution in the source and at the display,corruption or loss of information, and delay. Interactions among video content,the codec and bit rate used, and the specific bits corrupted and/or packetslost contribute to a high variability in the perceived quality of the videooutput. Other factors influence the viewer's judgment of acceptability. These include things like previous experiencewith the specific communication mode or related modes (for instance, experiencewith DVD quality will influence how acceptable one finds IPTV or VoD), how muchone is paying for the service, and what special benefits the service provides(mobility, time independence, exceptionally large program library), and soon. Acceptability is not equivalent toQoE. A low resolution video image willhave a lower QoE than a high resolution image, but it may be completelyacceptable for certain applications and services, depending on the end device,the physical size of the display, and the purpose for which it is being used. Figure 5-1 shows factors contributing to QoE. These factors areorganised as those related to quality of service and those that can beclassified as human components. QoE for video is often measured via carefully controlled subjectivetests [b ITU-R BT.500-11], [ITU-T P.800], where video samples are played toviewers, who are asked to rate them on a scale, typically consisting of fivepoints. The rating assigned to each case are averaged together to yield a meanrating or mean opinion score (MOS). Quality of service (QoS, see ITU-T E.800) involves the totality ofcharacteristics of a telecommunications service that bear on its ability tosatisfy stated and implied needs of the user of the service. In general,network performance is a major component of QoS, and so network mechanisms forQoS are an important consideration. QoS mechanisms include any mechanism thatcontributes to improvement of the overall performance of the system and henceto improving end-user experience. QoS mechanisms can be implemented atdifferent levels. For example at the network level it includes trafficmanagement mechanisms such as buffering and scheduling employed todifferentiate between traffic belonging to different applications. QoSmechanisms at levels other than the transport include loss concealment,application forward error correction (FEC), etc. Related to QoS are the QoS performance parameters. Similar to theQoS mechanisms QoS parameters can be defined for different layers. At thenetwork layer those parameters usually include packet loss rate, delay anddelay variation. Note that in this Figure, service billingrelates to the “value for money” perceived by the user for the particularservice. Given a QoS measurement, one could in principle predict the expected QoE for a user, with appropriate assumptions. Given a target QoE for a user, one could in principle deduce the net required service layer performance, with appropriate assumptions. Toensure that the appropriate service quality is delivered, QoE targets should beestablished for each service and be included early on in system design andengineering processes where they are translated into objective service levelperformance metrics. Quality of Experience will be an important factor in themarketplace success of triple-play services and is expected to be a keydifferentiator with respect to competing service offerings. Subscribers to network services do not carehow service quality is achieved. Whatmatters to them is how well a service meets their expectations foreffectiveness, operability, availability, and ease of use. QoE requirements for video and audiomay be based on QoE scales such as the Mean Opinion Score (MOS) and DoubleStimulus Continuous Quality Scale (DSCQS) [b ITU-RBT.500-11]. However,conducting subjective tests is difficult because they are time consuming andexpensive. Moreover, reliable objective quality assessment methods have notbeen established for transmitted video and audio. Therefore, this clauseprovides provisional QoE requirements on the basis of the objective parametersthat are correlated to the subjective QoE. This Recommendation addresses QoEtargets and shows how to express QoE requirements in the context of numericalparameters such as bit rate or packet loss rate. The process of determining QoEperformance targets must consider anumber of issues for example: the purpose of the IPTV service, QoE level of thecurrent broadcasting systems (which sets user expectation), compression codingscheme to be used for the service, content characteristics, content provider requirements,customer satisfactions. While the requirement values shown in the tables in thisclause are NOT generically applicable to any specific or all IPTV services,they are to be understood as provisional values which are subject to change. Readersof this Recommendation are invited to replace the numerical values shown in the tables in this clause withappropriate ones that conform to the requirements required by a specific IPTV service context. – the quality of the delivered mediadepends on the quality of the source material. • The baseline quality (no network impairments) of the codec. Note: A partial list of video codecs is provided in Appendix II. – Video encoding is naturally variable bit rate but to simplify networkengineering for Telco delivery systems, the video encoders are set to provide aconstant bit rate (as averaged over some specified time period in the order ofseconds). –Shorter GOPs improve quality in terms of performance of random accessibilityand error recovery, but reduce the maximum compression ratio. –Longer GOPs improve maximum compression ratio, but increase channel change timeand the amount of damage a lost packet will cause. –Dynamic GOPs can be used to better handle scene changes and other effects butare not always implemented on STBs. In addition, dynamic GOPs can causevariability in zapping latency and may complicate mechanisms intended toincrease zapping speed. 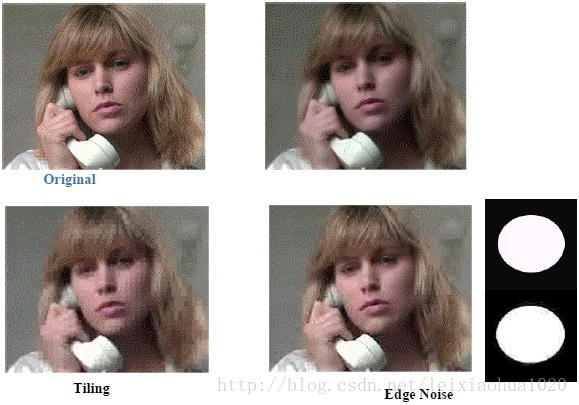 Figure 6-１ illustratesseveral kinds of compression artefacts that are largely due to insufficientbits allocated resulting in too coarse quantization of DCT coefficients ormotion vectors and/or otherwise poor motion estimation. Additionional detailsof compression artefacts may be found in [b NTIA264]. Similarly, there are similar parameter implications on the audio side. In additionto the separate audio and video application layer impairments, thesynchronization between audio and video components must be maintained to ensuresatisfactory QoE. There has been a great deal of research on A/Vsynchronization requirements in video conferencing and analogue broadcastsystems and specifications in such bodies as ITU-R [b ITU-RBT.1359-1]. Because audio that appears before video is very unnatural (sound takeslonger to propagate than light so sound lagging visual is normal) some bodiesspecifying television specific A/V synchronization have recommended tightertolerances than typically used for video conferencing applications. Recommended provisional minimum engineering objectives for applicationlayer, data plane parameters are presented in the following sub- clauses forvarious video services. Note: Appendix III provides supplementary information related to thefollowing sub-clauses. Table 6-1 provides provisional video application layer performanceobjectives at the MPEG elementary stream level, prior to IP encapsulation forbroadcast SDTV (480i / 576i). The objectives for audio elementary stream bitrates are additionally specified below. Table 6-2 provides provisional audio application layer performance requirementsfor standard definition audio sources. In general, audio codecs chosen should align with industry standards in thegeography of deployment to ensure maximum compatibility with consumerreceivers. Bit rates should be aligned with original source material qualityand transcoding between formats should be avoided if possible. Table 6-3 provides provisional audio-video synchronization requirements. Inconsistent loudness levels between channels can negatively impact QoE. Itis recommended that equipment be used in the service provider head-end toensure similar loudness levels across the range of channels provided to theuser. Another audio quality issue beyond the scope of this document is thedynamic range compression for links between the STB and TV. Video on demand (VoD) and other premium content such as pay per view instandard definition format will have similar application layer performance factorsas regular broadcast materials. However, subscriber expectation may be higherbecause of additional fees paid to access the content and comparison toalternative delivery options. In the case of VoD, users may compare to VoDmaterials delivered over digital cable systems or even contained in DVDs. Table 6-4 provides recommended video encoding bit rates for standarddefinition, VoD and other premium content. Table 6-5 provides provisional recommended audio codec bit rates for VoDand premium content. Table 6-6 provides provisional video application layer performanceobjectives for broadcast HDTV (720p / 1080i). Table 6-7 provides provisional audio application layer performance requirementsfor high definition audio sources. - For the same packet loss ratio,impairments due to loss on a higher rate video stream occur more frequently(i.e. there are more visible errors per unit time) simply because there aremore packets per second transmitted and each one has the same probability to beaffected. Decoder concealment algorithms can mitigate perceptual impact of some losses. An error or sequence of errors in a video bit stream can cause effectsranging from no noticeable audio or video impact to the user to complete lossof the video or audio signal depending on what was lost and the robustness ofthe implementation. Appendix IV provides additional information as to how transmissionimpairments can affect quality. The video application should be able to operate normally in the presence ofnormal operational defects. One such normal operational consideration is theoperation of protection switching mechanisms in the network. SONET/SDHprotection switching mechanisms may result in a potential packet loss duration inthe order of, for example, 50ms. For some other protection mechanisms (e.g.MPLS fast reroute, fast IGP convergence) the potential packet loss duration canbe longer, for example, on the order of 250ms. Service providers are encouragedto add mechanisms to minimize or eliminate the visible effect of suchprotection mechanisms as these events cascade to a large number of subscribers. Considering some other protection mechanisms the potential packet lossduration can be longer. For example, a complete reconvergence of the IP (IGP) routingtable would imply potential packet loss bursts in the order of 30 sec. An IPTVsystem would not be expected to maintain normal service through such an event.Such events can be considered a service outage rather than an in servicequality defect. The goal is to minimize visible artefacts to as few as possible using acombination of network performance requirements, loss recovery mechanisms (e.g.FEC, interleaver) and loss mitigation mechanisms (e.g. decoder lossconcealment). Informationin this clause is taken from [ITU-T F.700]. The media component text allows for the capture and representation of information,its transfer from originating user(s) to destination user(s), its presentation to human user(s), processing, filing and retrieval. Textis a representation medium consisting of formatted characters. It is stored andtransmitted as a sequence of codes. Although it may be displayed on the samescreen as video and still pictures, it requires decoding into specific fontsfor presentation to the user, whether on the screen or on paper. The input isthrough a keyboard. The output may be presented by a printer or on a screen. · Font support for [b_ISO-10646] Languagearea Latin-1 plus the target language area for the implementation. · No more than 1 corrupted,dropped or marked missing character per 100. · Delay from character input inthe transmitter to display in the receiver shorter than 2 s.
· Font support for all charactersin [b_ISO-10646]. · No more than 1 corrupted,dropped or marked missing character per 500. · Delay from character input inthe transmitter to display in the receiver shorter than 1 s.
Theuser may be given control over text through editing and presentation functions.He may also be able to insert graphics, still pictures or animated pictures withinthe text. Whentext is for the support of conversational services, the timing aspects of textentry and display are critical. Text may be transmitted and displayed in nearreal time, as text is entered. It may also be transmitted only after specificend-of-sentence action or on a specific send request. In a conversation betweentwo users, the near real-time conversation is important for optimized benefitof the conversation. For multi-user conferences, a sentence based transmissionmay be more relevant in an open discussion, while for a subtitled speech, thereal-time text transmission is preferred. Forretrieval services, it may be accepted to transmit and display a whole page oftext in one operation. Forconversation, editing may be reduced to "new line", "erase lastcharacter", while the editing for information retrieval should contain apossibility to replace text anywhere on the page and add various formattingeffects to any part of text. Annotations that stand out distinctly are alsodesirable. Thequality of text depends mainly upon the capabilities for formatting and usingdifferent types of fonts and special characters. When no error correction ismade, for instance in conversation, text quality is also measured in terms ofcorrupted characters, dropped characters and characters replaced by the missingtext marker [ITU-T T.140]. Thecharacters with their formatting may be decoded and assembled into bit mapswhich can then be handled as still pictures, e.g. as facsimile pages. Themedia component graphics allows for the capture and representation of information,its transfer from originating user(s) to destination user(s), its presentation to human user(s), processing, filing and retrieval. This media component allowsgraphic pictures to be captured and transmitted as geometrical objects whosepositions, shapes and colours are coded so that they can be reproduced in adistant terminal. Graphicsis a representation medium consisting of geometrical objects featured by theirpositions, shapes and colours. It is stored and transmitted as a set of codesand parameters. Although it may be displayed on the same screen as video andstill pictures, it requires decoding into specific geometrical figures forpresentation to the user, whether on a screen or on paper. Theinput may be through a graphics tablet, an electronic pencil, some other two‑dimensionaltransducer or dedicated graphic software on a microcomputer or workstation. Theoutput device may be a printer or a screen. Theintrinsic quality of the graphic depends on the number and the complexity ofthe objects that can be generated, the precision of their dimensions andpositions, the number of possible colours. The overall quality perceived by theuser depends also on the resolution of the input and output systems. Thegraphic objects may be decoded and assembled into bit maps which can then behandled as still pictures. Asa QoEparameter, channel zapping time can be described by three components: IGMPdelay, buffering delay, and decoding delay, as shown in the Figure below (notethat the timings are not necessarily to scale). A channel zaprequest is triggered by a channel change which is mapped by the STB to amulticast group address carried in the IGMP message. The IGMP message, whichincludes join message, is sent to the homegate (HG). The HG, playing an IGMPproxy role, will process the IGMP message and send an IGMP request to theGateway Router (GWR). After the IGMP message is sent towards the rendezvouspoint by the GWR, the corresponding channel data should be delivered to the endpoint at some point. The time to get the content data after sending the firstIGMP message is called the IGMP delay. While the STB receives IPTV multicasttraffic, it stacks the packets in a buffer. Buffering delay is the time betweenthe arrival of the first multicast traffic in the buffer and when the STB hassufficient data for playing to the screen. After STB starts to receive andbuffers multicast stream, decoding delay processes buffered data and renderthem to TV screen. This type of delay includes both codec decoding delay, whichintends to program-specific information frames in order to decide the targetchannel and I-frame acquisition delay, which is for reduction of bandwidthrequired for digital video transmission. One of the key elements involved in validating Qualityof Experience (QoE) in IPTV service is how quickly users can change TVchannels, which is often referred to as Channel Zapping Time. However, theexplicit relation between Channel Zapping Time and the user perceived quality as expressed asa Mean Opinion Score (MOS) is still under study [b_CZT_TNO]. Video on Demand (VoD) trick mode provides VCR-likefeatures in VoD services. When a subscriber desires a video content through STB, the subscriber accesses the video content from the EPG which supports thecontents-search engine to help access of content information. To guarantee VCR-like flexibility, this mode provides the trick ability to handle pause,play, rewind, fast forward, and stop entries for these control features. - Videoselection process delay: Timing period from the time when the subject isselected to the time when content is displayed. - Play Delay:Timing period from the time when the Play entry was selected to the time thecontent is displayed. - Stop Delay:Timing period from the time when the Stop play video entry was selected to thetime the content is stopped playing as indicated by video content display. - Rewind Delay:Timing period from the time when the Rewind video entry was selected to thetime the rewind action is executed as indicated on display device. - Pause Delay: Timingperiod from the time when the Pause video entry was selected to the time thepause action is executed as indicated on display device. - FFW Delay:Timing period from the time when the Fast Forward video entry was selected tothe time the FFW action is executed as indicated on display device. From a QoE perspective, trick feature latency is oneof the most important issues to guarantee satisfaction of subscribers. As eachtrick feature latency directly affects QoE, the latency is required to besufficiently low to meet user’s requirement for QoE relating to VoD trickfeatures. Figure 9-1 shows the componentsof Metadata. High availability is recommended to be ensured in transmitting themetadata on network. Metadata is recommended to be transported in such a way that the size ofthe transported data would be sufficiently small, relative to such factors asthe number of the total services, the number of the contents, and networkbandwidth. The service provider should ensure themetadata tagged to a particular content is correct. An example to illustrate the importance ofmetadata is the correctness of “rating” of content. The correct rating oncontent is directly related to what the customer expects. An incorrect parentalrating e.g. a “family” rating for an adult movie can have serious implicationsfor the customer experience and business of the service provider. The following items are recommended to be considered aspart of the definition of QoE for IPTV services. EPG user interface is recommended to be designed for ease of use. The response time - the interval from pushing the EPG button of remotecontrol to the display of the EPG page - is recommended to sufficiently short. If abrowser, such as those for BML or HTML, is used to provide the user aninteractive content from the service provider, the following points arerecommended to be taken into account. The IPTV QoErequirements on browsers are recommended to take intoaccount that the behavioural patterns and expectations of television userstypically differ from those of PC users. Moreover the differences in the capacities oftypical TVs (and STBs), on one hand, and PCs, on the other, should be takeninto account. For example, as the CPUperformance of a television set is usually inferior to that of PC, the contentsdesigned for PC-use does not necessarily work in the TV environment, making itnecessary to set up QoE measures taking into account the difference in CPUperformance between PC and television. It should be stressed that the browseron an IPTV service may not have the same capacity as the browser on a PC has. -Consistency of displayed pictures across terminals. The character size is recommended to be sufficientlylarge. The navigation function is recommended to be considered forincreasing the level of convenience and operability. Contentnavigation is defined as functions for contents discovery and selection. So,content navigation is provided byvarious methods such as direct channel selection, EPG, recommendation. QoErequirements according to navigation methods are described in the followingsections. Ease ofcontents selection, especially under numerous contents condition, isrecommended to be considered. For that sake, the elapsed time for selectingcontents and subjective evaluations of ease of use (e.g. MOS) are recommendedto be considered. EPG/ECG isone of the most useful ways of contents navigation. The elapsed time fordiscovering and selecting contents, and subjective evaluations of ease of use(e.g. MOS) are recommended to be considered. Effectivecontents recommendation is useful for users. For example, IPTV service providerrecommends contents to the user according to his/her preferences. And, contentsrecommendation from his/her friends is also effective. 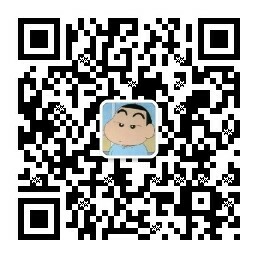 Forcontents recommendation, recommendation accuracy and security of personalinformation are recommended to be considered. If the recommended contentsinclude many preferring contents, the QoE of recommendation would be high. Obviously,the security of personal information affects QoE. And communication functionsuch as obtaining the 3rd parties’ metadata is recommended to be considered. Securityaspects have not been addressed in this Recommendation.